To check whether you have the appropriate players installed for UCF (Universal Communications Format) rich media files, go to https://educopia.webex.com/educopia/systemdiagnosis.php. 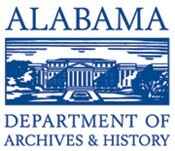 The Alabama Digital Preservation Network, together with the Network of Alabama Academic Libraries and the Alabama Department of Archives and History, invites members of Private LOCKSS Networks to attend the 2013 community meeting in Montgomery, Alabama. The meeting sessions will be held at the Alabama Department of Archives and History located in the heart of the capitol complex. As you can see from the program below, the themes for this year's meeting are technical innovation and international collaboration. If you have questions about the sessions or the meeting in general, please contact Tracey Berezansky at tracey.berezansky@archives.alabama.gov or Aaron Trehub at trehuaj@auburn.edu. Information on ground transportation services is available here: (http://iflymontgomery.com/us/en/transportation/index.php).